All records in the registry can be searched by name, date, document number or book (volume) and page number. You may come to the registry and use a public terminal research documents. If you need help in using any of the computers or any other equipment in the Registry of Deeds, please ask for assistance. Our online web search has documents from 1956 to present. 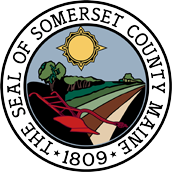 Visit our Registry of Deeds then click Somerset County on the map. Can I look up a deed if I have the ? All records at the Registry are filed by grantor /grantee name and are assigned a volume and page number. The municipal Assessor can give the name and/or book and page reference if you provide a physical address or map / lot number. How do I change a name on my deed? The only way to add or remove a name on a deed is to have a new deed recorded. Once a document is recorded, it cannot be altered. In order to protect your legal interests, we strongly suggest that you contact an attorney to have this done for you. Is there a survey of my property on record? Not all deeds have surveys that accompany them. If your property is part of a subdivision or development, a survey is probably available and we will help you locate it. If a former owner had the property surveyed, we will show you how to use the plan index to locate it. I had a lien filed against me that is now paid, are you going to remove the lien? Once an original document has been recorded, it remains a part of the title history and is never removed. If a lien is subsequently paid and the discharge is filed with us for recording, then a search of the records will show that the lien has been satisfied. If you have problems concerning a credit report, the state of Maine, Bureau of Consumer Credit Protection's telephone number is toll free 1-800-332-8529. What's the difference between a quitclaim deed and a warranty deed? If you have any questions relative to the type of document and what effect it has, you should consult with an attorney. The Registry of Deeds' staff is not qualified to search records, Interpret documents, explain their purpose, help fill out forms, supply forms, or explain legal procedures. We suggest that you contact an attorney for legal questions. Please feel free to call Somerset Registry of Deeds at 207-474-3421 to ask for assistance. What kind of information can I find in the Registry of Deeds records? Any transaction pertaining to real estate would be recorded here. This includes deeds, mortgages, real estate tax liens, federal liens, discharges, some court documents, UCC's, surveys and other like documents. Can I get assessing information from the Registry of Deeds? No, In Maine all assessing is done at the municipal level. You will need to contact the town where the property is located. The State of Maine Revenue Services provides these forms. You can get a hard copy by calling 207-624-5600. How do I calculate Transfer Tax? Use the Purchase Price or Market Value used in box 6. on Transfer Tax Form. Round up to the nearest 500.00. Divide by 500.00 and multiple by 2.20. This amount is the tax due. example: purchase price is $126,350.00. Round up to $126,500.00 ÷ 500.00 x 2.20= $556.60 tax due. How do I determine if I am exempt from paying Transfer Tax? There are a few very specific exemptions from Transfer Tax. They can be found in Maine Law.